Bamboosa was founded almost 10 years ago with the goals to create opportunities for displaced US textile workers, to make products that were environmentally forward thinking, and to act as good corporate citizens. 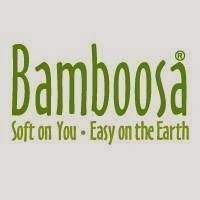 Dedicated to the environment, quality, and a healthy work force, Bamboosa is a top notch company not only for baby products but clothing for Moms and Dads as well. I was very excited to feel these textiles first hand when Bamboosa sent me a onesie and a hooded towel for review. Talk about softness! I would love to try the Mommy sleep shirt, I can imagine the similar softness of the onesie being multiplied in this sleeping attire! 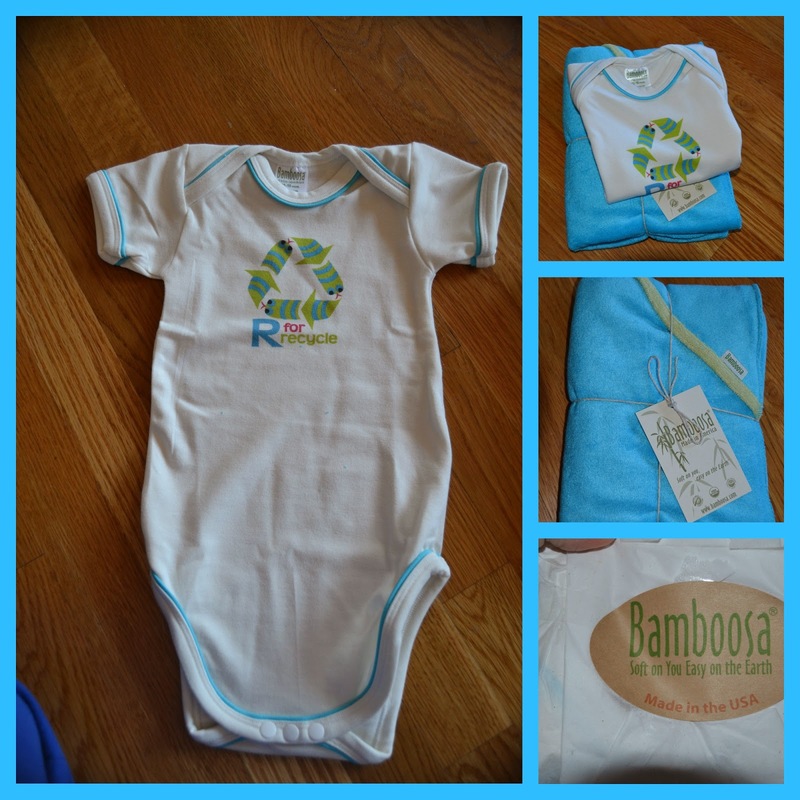 R is for Recycle made from 95% organic bamboo and 5% lycra, this onesie is extremely soft and cuddly! They carry solid color onesies as well, but I really love their selection of prints! As we approach summer I know my little ones always lived in one piece outfits like this. They are creative and eco friendly minded in their print styles. The baby hooded towel made of 80% viscose from organic bamboo and 20% recycled polyester (recycled soda bottles). This terry cloth towel measures 30 by 30, an ample sized towel for newborns and infants! I love when the coziness of the towel wraps my little ones in warmth. Nothing worse than a mini bath towel for a baby. This towel is perfectly sized and excellent at absorbing moisture.